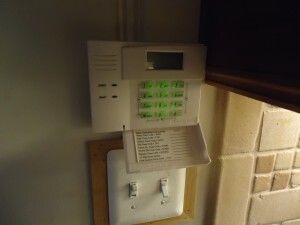 One project on my long term to do list – my hard wired security system. It ate up a lot of my time. I finally got it hooked up, but not without its fair share of difficulties. Those lights too were on my long term to do list, but got bumped up, slightly, in priority. Fortunately, they were already planned for, and switched, but just not fully wired. 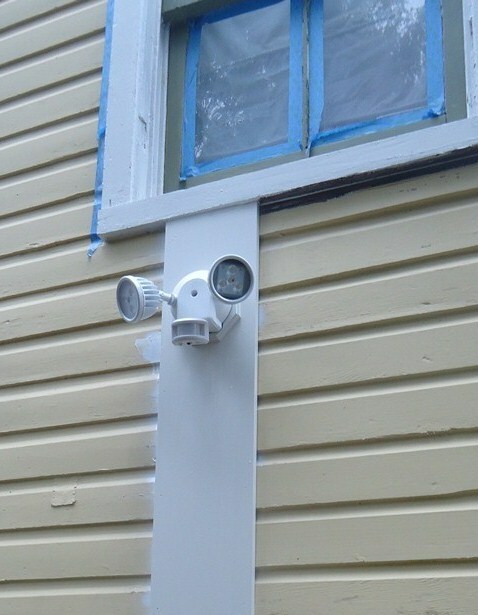 Two lights, including: wiring, setting boxes, some air sealing and small modifications to the siding and the trim, took parts of two afternoons. They were, I guess you could say … part of a more complete home security plan. Those lights, and oh yeah! . . . a security system. But first, I need to take that promised step back. At the time, I was working as a finish-end construction manager for a big builder. 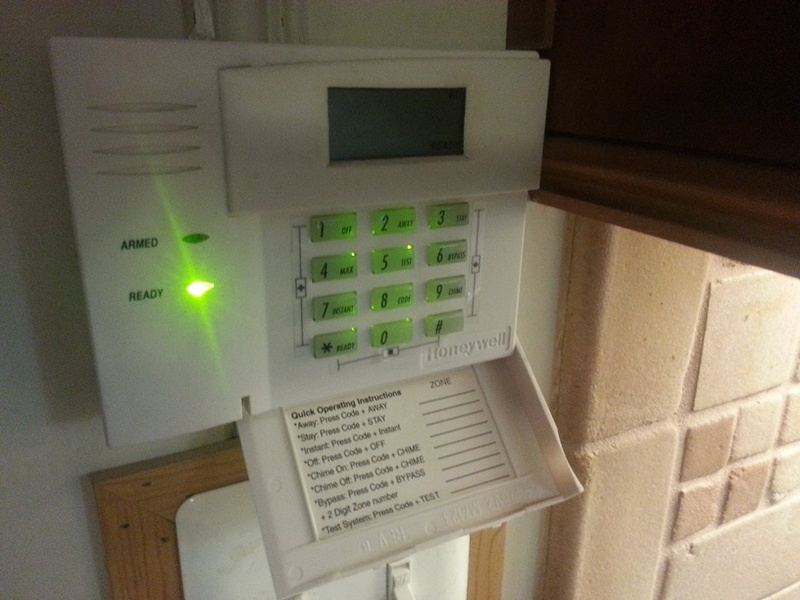 It was on that job that I became friendly with a tech from the company responsible for running the development’s communications wiring – RG6, Cat5, and all requirements for the alarm system that the builder provided as part of their stock package for each home. So early on, with our walls and floors open, I had this guy come in and run wiring too for a hard wired security system. This was back sometime, I think, in late 2006. He provided me with a Honeywell system, a name I of course knew and respect. I was happy enough at the time, really, but then a strange, sudden thing happened. Sometime between having this guy install this system to a point, and shortly after I paid him, we had a sorta job-related falling out. “To a point.” I mean – he shorted me one door contact, and we never actually got the system enabled and fired up. Now, let me take another brief and somewhat ironic step back. 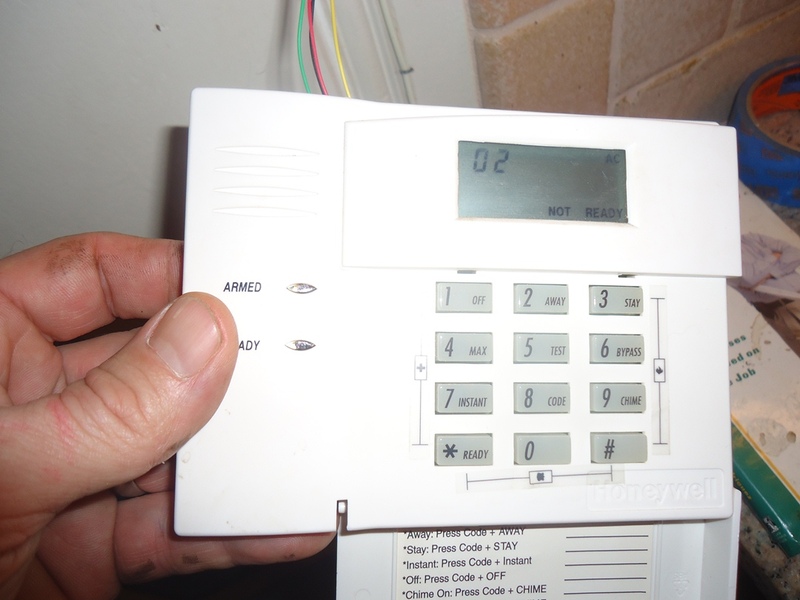 Security and further Security Systems are topics we have covered now a handful of times on this site. 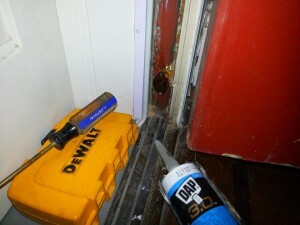 (See: Cost Effective Home Security Ideas.) The point being simply . . . from the perspective of the internet and from editorial standpoint of hosting a website – Security is one industry, I would say, that has no shortage of information or players. Security as a technology is constantly evolving. 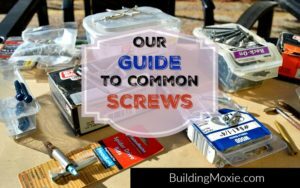 When my system was installed, and for the builder, a hard-wired system was by far the best approach. Today, maybe not. But the system itself, really, and as you may know, is only one part of the equation. While in some situations, a “local” system is sufficient, in many more cases – it makes smart sense to monitor a security system though a monitoring service. A three year contract, of course, and … roaming and overage fees do apply. Gah! 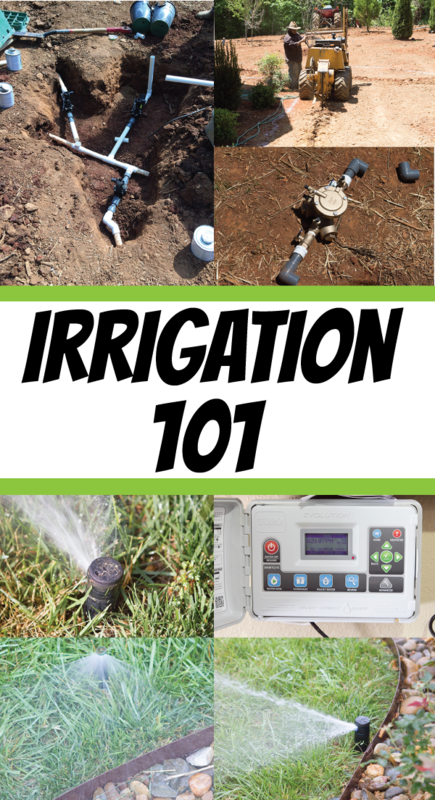 But for me, first, there were a few steps I needed to plow through before I could even think about monitoring. Many of these steps, which I portray below, ran in parallel. So stay with me. I needed first to get the system up, and running. I still needed a single plunge-type door sensor, the one component that my guy shorted me way back when. It was somewhat difficult to identify and locate, but little did I know – in attempting to do so, I would also begin to learn just a little bit more about how this industry is structured and functions. 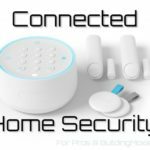 Editor’s Note: For more on Hard-Wired vs. Wireless Systems, here is a short article from Angie’s List – Which is Better: Wireless or Hardwired Security Systems? I made several calls locally looking for this part. One wholesaler I found knew what I was looking for but refused to sell it to me. 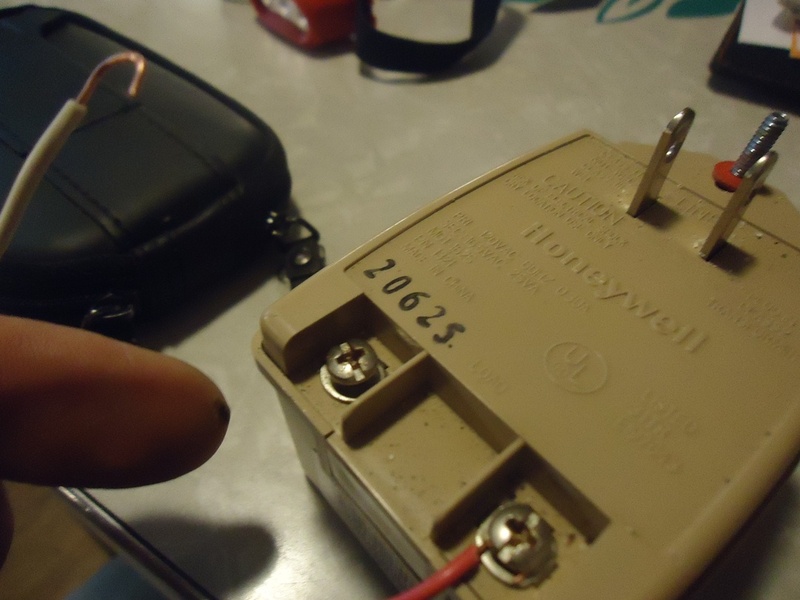 His reasoning – I was not an Authorized Honeywell Dealer. From this conversation, though, I did gain a (real-world, human) contact. The gentleman I then called claimed initially that he too had the part. Sweet! … a very nice guy. BUT by the time I actually circled back to make the purchase (some three weeks later), I learned that his company had been bought by a larger regional-type home security company. He would no longer be able to help me … that is – without first setting me up with a visit from his (new) “life security coaching consultant” … or some-such. To finally get my hands on it, I had to turn to the internet – eBay and then Amazon. Through an unfolding process of comedic buffoonery, the same company in California sold it to us first through eBay and then again, but later, through Amazon. In both cases, we had to email the company to inquire about our shipment, no response each time of course. Once received, it took roughly 10 minutes to install. I posted it, once completed, to my Facebook page. I had to install the breaker and the power source for the system; again it had never been fired up. This was easy enough. 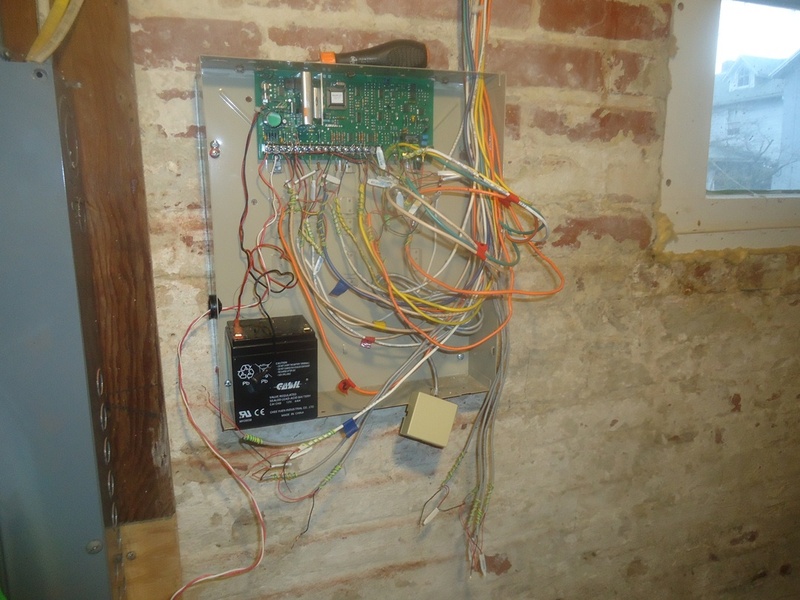 I installed the 15-amp breaker and a short run of 14/2 wire down below my breaker panel, finishing it at a standard 15-amp receptacle installed in a surface-mount metal box. Our security system’s control panel sits only a few feet away from our breaker panel. Connection of the provided transformer was easy enough using 20 gauge wire (that I had to buy a short length of). 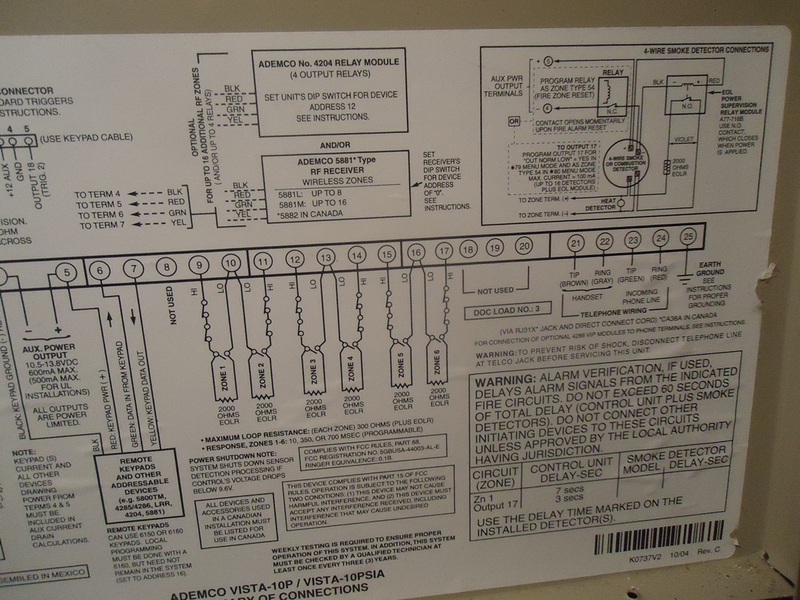 I identified this as a requirement by following the schematic found on control panel’s door and cover. 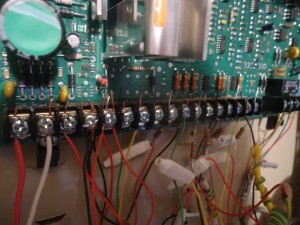 The same schematic told me where to hook the leads into the control panel. I was however disappointed on firing up the system to find that the keypad‘s display showed no codes. I did have the systems’ manuals. My installer friend was kind enough to leave them for me. 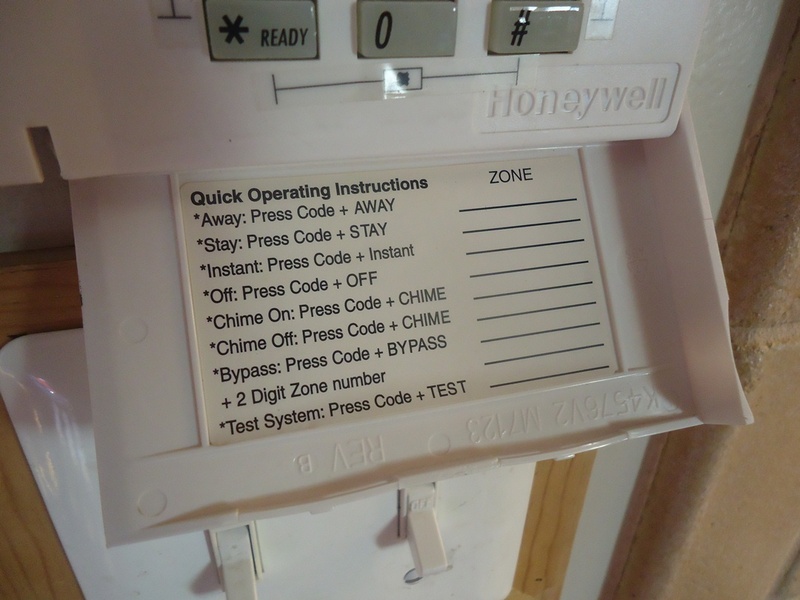 I had the keypad guide, the programming guide, the installer’s guide, and a user’s manual – all came with this system. On paging through these manuals, unfortunately, and as I was beginning the process of troubleshooting, I have to admit – I felt like I needed an advanced degree (in electrical engineering perhaps) in order to decipher them. I was simply at a loss. I then moved to Honeywell’s website. No luck, either. So … I then placed a call into their Support line. The lady on the other end of the phone, located I believe somewhere in Indiana or Illinois (this is important these days), was nice enough. But on explaining my situation to her, she told me she too would be unable to help me. That’s right – Because I am not an Authorized Honeywell Dealer. She did point me to the right page on their website (which for some reason had the domain name -firstalertprofessional.com); there I found a sort of list of preferred (local) providers. And I made some more calls. On having one gentlemen out, he quickly and repeatedly voiced concerns about being able to execute a “take over”. While I pointed out that my system had never been powered up, I learned (after the fact) that many systems can be programmed offsite – prior even to being installed. The fear this gentlemen had, and since I wasn’t able to produce them, was that both an “Installer’s Code” and a Master System Code had been updated and would only be accessible to the individual or company that installed it initially. Sounds like an interesting practice, and it was clear to me, after the visit, that this guy clearly did not know my particular system. Either way, when I would flip the breaker, only the lights on the keypad numbers would come on . . . and no one seemed to know (or was willing to share) exactly why. A little light Google searching, actually repeated searches – ultimately lead me to a forum discussion containing the steps for … How to Reset the Master Code. When I performed this procedure, and I am pretty certain that this could not have been found in my user’s manual, it seemed to work. I’m not even sure if it was required, but the keypad display came on . . . Woot! It was my unfortunate luck, but consistent with the way things had been going, that instead of showing a Ready indicator – the keypad flashed, rather, open zones … Ugh! It was up to me, as the system was not labeled, to both identify not only what was on each zone, but also to identify which windows or doors (4 exterior doors and 20 windows monitored for me) were showing as Open. My guy had run 33 gauge wire in many cases. This is very thin wire. 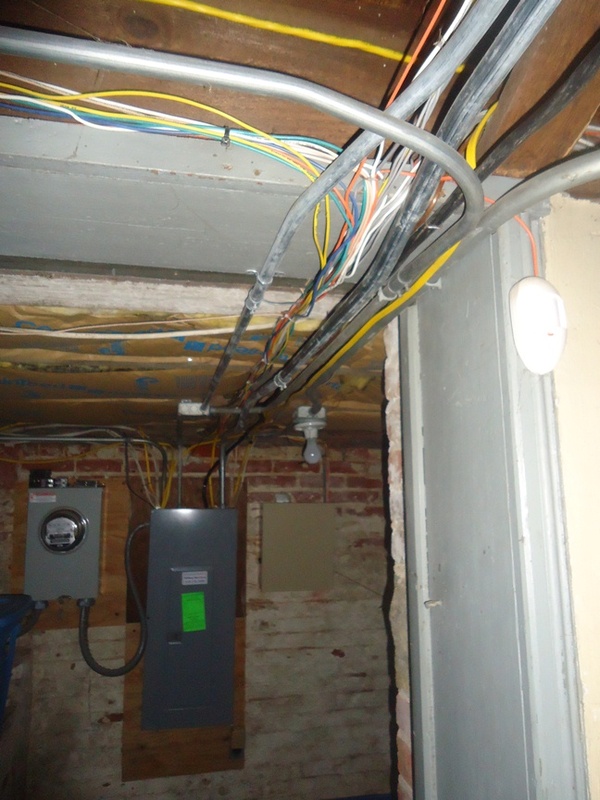 And from that, my fear was that wires were damaged somewhere along runs. I mean – some remodeling had occurred since this system was first installed. So … What I Did. 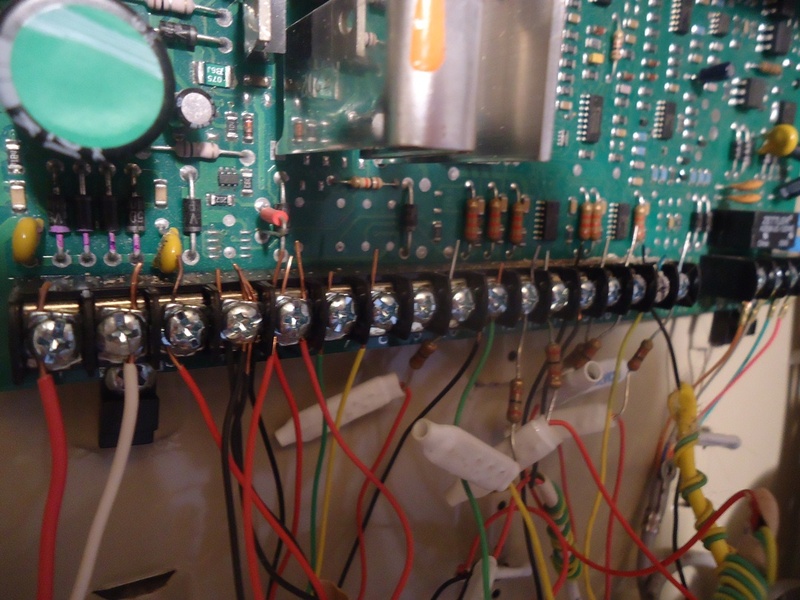 On taking an afternoon, I disconnected everything from the panel and then reconnected it, using the process of elimination to identify both the individual zones and the locations at fault. 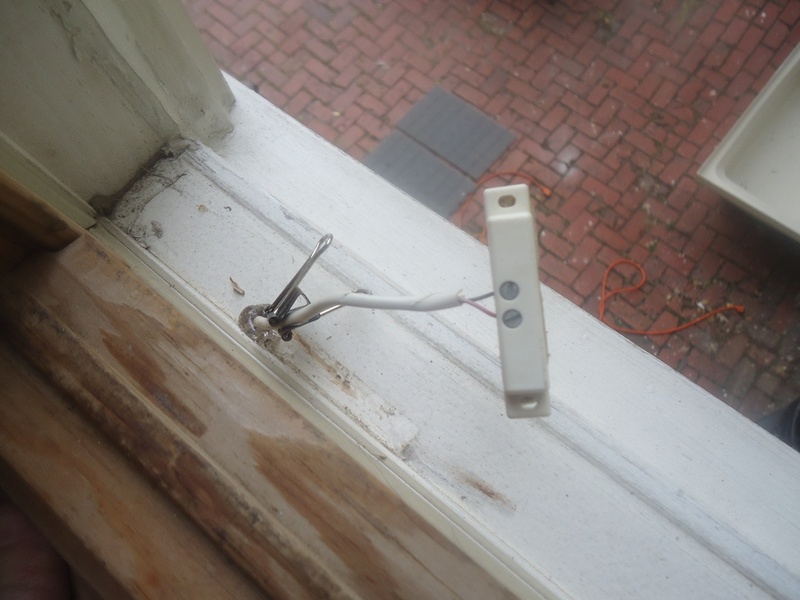 The process of troubleshooting these open zone was as simple as, and as time consuming as, identifying which wires were causing fault, not tying them back into the panel and tracing them to the contact found at the window or the door. As I went around the house, I labeled each monitored location with a piece of blue tape and placed the number of the appropriate zone (1 through 6 in my system) on it. Now, I have never really ran into a home system that I couldn’t DIY. But this thing tried my many nerves. The industry is a such, and I KNOW – the outward claim is, of course, motivated by overall safety. But to be so complicated and so inaccessible, come on! Perhaps if it would have been a little easier, maybe I would had my system armed and ready to go a long ways back, or at least before we were broken into. I know too that having the system connected still might not have prevented our intrusion, but I will say – I have armed the system every day since I’ve had it powered up. And as I began to talk with companies about their monitoring services – I could just kick myself for the whole thing. As the company which I originally had in mind for monitoring is now, yep, out of business, very few I am finding offer monitoring and equipment separately. That is – the cost for monthly monitoring also seems to have the cost of installing a system (which in these scenarios is often *ahem* “free”) embedded in them. 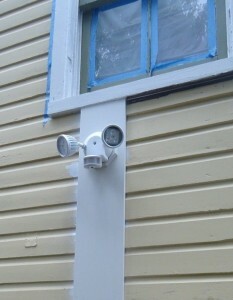 Mrs Moxie has been comfortable enough with the wireless products provided and installed for her flip projects. (It makes perfect sense in these scenarios.) The technology too has come that far in recent years that I would now be completely comfortable installing a wireless system … and without all these headaches. On looking at the market there are still other options, but perhaps I end this rant here – saving the rest of my spiel for another time. I really like the SimpliSafe system. It took me about 30 minutes to install and only costs $15/month. 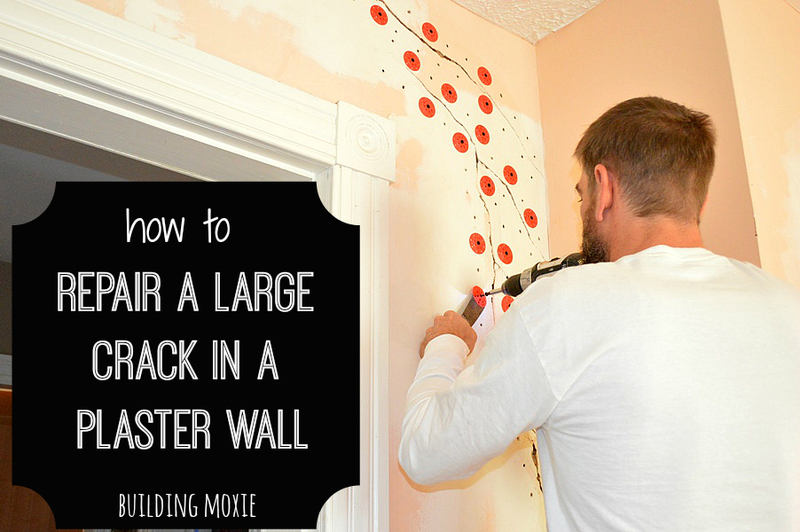 I’ve actually got a post scheduled on the project for Monday (shameless plug!). I agree with Mrs Moxie ! The cost of the wires and the hassles! I trip in the wire and the whole system undergoes another troubleshooting again! Your Welcome! Following your blog! thank you Rose, but I can’t have you spamming me from different URLs. I’ll let your newest comment slide but please play nice. l have 4,5,6 ligths up in my pk5508 panel and can’t turn off and arm my alarm back again. what can i do. Surface mount contacts can be moved pretty easy and be re-affixed with silicone caulk, double-sided tape, tack-less picture hanging strips, etc.